Pac Man Rug Perfect for 30 Year Old Kids | OhGizmo! It’s kind of weird to think that a video game I played over 20 years ago would not only be used as a design inspiration for a rug, but that rug would actually be something I’d consider buying for my home. 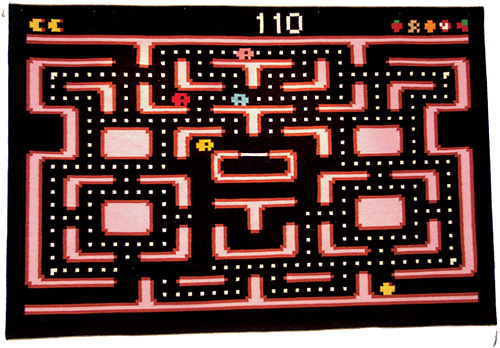 This hand-woven Pac Man themed carpet (as the website refers to it) was made in Portugal from 100% wool and is actually one of only two in existence.